WHEN Suharto dissolved the Dutch-led Inter Governmental Group on Indonesia (IGGI), eight years ago, he certainly did not terminate the economic ties between the Netherlands and its former colony. On the contrary, there has been a rapid increase of Indonesian companies opening their offices in the Netherlands during that very same time frame. And ironically, while opposing any cricism from then IGGI chairperson, Jan Pieter Pronk on the violations of the East Timorese people's human rights and the violation of Indonesian women's reproductive rights, Suharto himself unshamefully used a Dutch subsidiary of the Indonesian central bank to launder around one billion US dollars of his ill-gotten wealth, as has been charged by the Indonesian Attorney General in the trial which the former dictator is currently facing in Jakarta. Since the early 1990s, an increasing number of well-connected Indonesian companies have linked up with a handful of Dutch banks and other financial institutions to tap into the lucrative European capital market. In addition, an Amsterdam-based subsidiary of the Indonesian Central Bank has even been alleged of laundering at least one billion US dollars for the Suharto family and their cronies, which raises the questions: first, what is so attractive, financially speaking, that so many of those well-connected Indonesian business people have opened shop in the Netherlands? Which raises the second question: what are the moral standards guiding the Dutch financial community that all these Indonesian conglomerates, which have caused so much economic, political, human and ecological damage, are so warmly welcomed in this country? Nearly all major Indonesian conglomerates which are either owned or cooperate with members of Suharto's extended family have set up their subsidiaries in 'Holland Randstad,' and mainly in Amsterdam and Rotterdam, to be able to mobilise capital by issuing bonds in US dollars and Japanese Yen. One example is the toll road company of Suharto's eldest daughter, Siti Hardiyanti Rukmana, also known as Tutut, which has successfully mobilised capital to finance her toll roads in Indonesia, the Philippines, and Burma. Other examples are the cement factory and steam power plants of Hashim Djojohadikusumo, whose elder brother, ex-General Prabowo Subianto married Tutut's younger sister, Siti Hediyati Haryadi, or Titiek, has raised capital to finance the construction of his newest cement factories in Indonesia and Burma. Cooperating with the military junta in Burma, is not a big deal for Tutut and Titiek, who also delightfully grew up in their Daddy's disguised military regime. Two conglomerates which were directed by Mohammad "Bob" Hasan on behalf of three charities headed by Suharto, namely the Astra and Nusamba Groups, have also raised capital in the Netherlands for their paper and pulp factories, timber estates and gold mines. The well-connected Indonesian oil palm plantations, which have for the last decade caused catastrophic forest fires in Sumatra and Kalimantan, have been the most popular economic sector which have raised their capital through their subsidiaries and their banker friends in the Netherlands. A recent study by Eric Wakker, Jan Willem van Gelder and the Telapak Sawit Research Team, which was commissioned by Greenpeace Netherlands has listed all those top palm oil producers and their Dutch financial supporters. To complement Wakker, Willem and Telapak's study, a number of Dutch journalists assisted me to surf on the Dutch Chamber of Commerce's website to investigate whether other economic sectors have also been raising capital in the Netherlands. This library research, which covered the previously mentioned toll road and cement factories, as well as mining and property companies. All these data basically show that only a handful of banks in the BENELUX countries have offered their service to these Indonesian companies. One Dutch bank and one joint Dutch-Belgian bank stand out in offering office space and financial management services to these companies, namely ABN-AMRO Bank and MeesPierson Trust (see Tables I& II). The latter currently belongs to the Fortis Group. Other Dutch banks, such as Rabobank and ING Bank, have provided those Suharto-linked and other top Indonesian companies with syndicated loans to finance their business expansion. The presence of Dutch Prime Minister Jan Peter Balkenende at the reception of the 63rd Indonesian Independence anniversary celebrations at the Indonesian ambassador`s residence in The Heague, the Netherlands, on Thursday evening was of a milestone in the history of the two countries` diplomatic relations. In addition to the Dutch prime minister, also present were Foreign Minister Maxim Verhagen, the Justice Minister, Head of the Dutch Parliament`s foreign affairs committee, the former Dutch ambassador to Indonesia as well as ambassadors from friendly countries and representatives of international organizations, businessmen and friends from Indonesia. Continue. Aditjondro, George J. (1996a). "Suharto family, the Philippines and APEC: the ... Dutch financial insitution Mees Pierson assisted capital mobilization for Suharto family-linked companies involved in the expansion of Indonesia's oil palm plantations and palm oil production and ING Bank NV has a network of Suharto family-linked companies with stretch from the Netherlands to Aotearoa - New Zealand. Romeva, the European Parliament's rapporteur on military exports, said. The corvette, named KRI Diponegoro-365, sailed from Vlissingen, the Netherlands, on July 3, 2007. 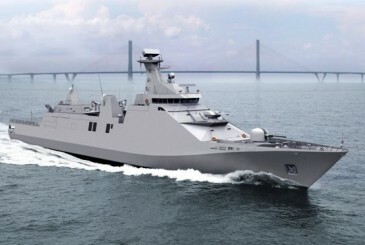 The corvette was one of four Sigma corvettes the Indonesian Navy has ordered from the Schelde Naval Shipbuilding (SNS) in the Netherlands. Unilever will invest around EUR90m (US$118.5m) to boost ice cream production facilities in Indonesia and build a new factory for personal care items.